If you want your garden to have beautiful blooms in the springtime, fall is the time to start planting. Fall is a great time to tend to your garden because you won’t have to deal with the hot temperatures of the summer and plants will require less water than they do during the comparatively hotter and dryer months. Cooler weather will also allow your spring bulbs to winter over so they can flourish with beautiful blooms when spring comes around. You should start planting your bulbs after the first frost in the fall but before the ground freezes. If you need to store your bulbs before planting, you can do so for about a month in a cool, dry place. Daffodils – A popular and easy flower to manage, yellow, orange or white blooms are reliable and require little to no maintenance. Snowdrops – An early spring bloomer, snowdrops are named for their look and the fact that they sometimes show up while snow is still on the ground. Allium – These gorgeous, globe-shaped flowers come in purple, white or yellow and provide a nice texture to your garden. Tulips – Your best bet for a variety of shapes, sizes and colors is tulips. Dutch Iris – Add intense colors like deep blue, orange and purple to your garden with the Dutch iris, which will grow in mild to cold climates. Once you have decided which bulbs will work best for your spring blooms, the next step is to plant them correctly. Step 1: Loosen the soil in your planting bed to at least an 8” depth. Be sure to remove any rocks or weeds and then mix in compost, organic matter or slow releasing fertilizer for extra nutrients. Step 2: Read the directions on the label of your bulbs to know how deep to plant them. Generally big bulbs should be placed about 8” deep with smaller bulbs being planted at 5” deep. Be sure you place the bulb pointy side up with the roots down. If you can’t figure out which side is up, such as with a crocus, you can plant it on its side. Step 3: Fill up the hole with soil but be sure not to pack it in. Water the area to stimulate the root’s growth, but you likely won’t need to water it very often based on the amount of precipitation during the winter. 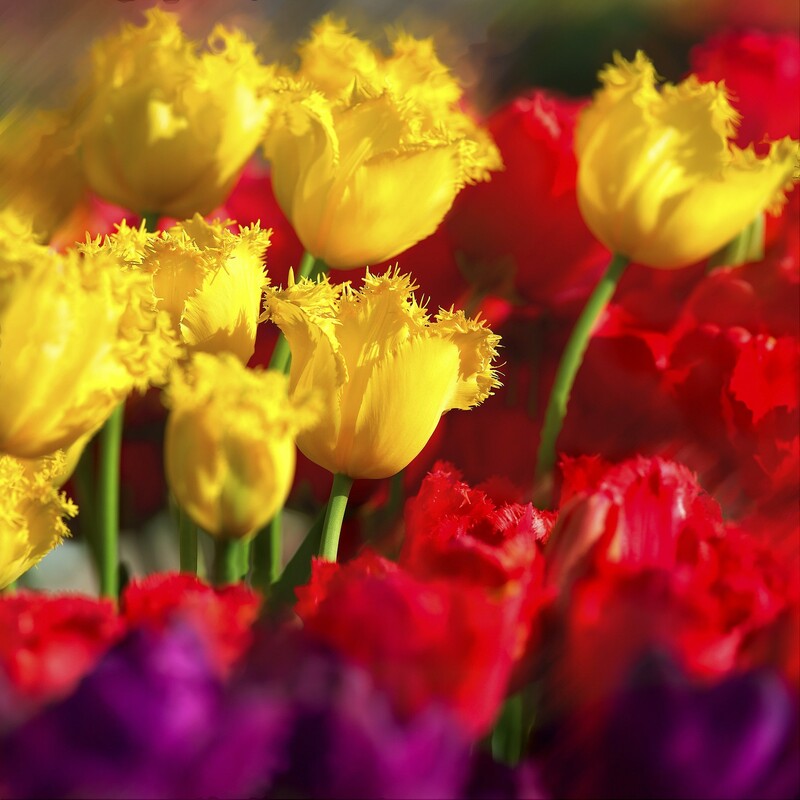 When the time comes to buy your bulbs to plant for your beautiful spring blooms, visit Bennett’s, where you’ll find the best bulbs in the business. As a family-operated horticultural business that’s served the greater Lafayette area for more than 100 years, you can trust Bennett’s to provide high-quality garden products as well as any advice you may need. Our comprehensive nursery and greenhouse have a lot more than just bulbs, including trees, shrubs, roses, perennials, fruit trees and much more. Visit us today and discover all the great things available at Bennett’s!